Magestic royal amethyst and exquisite white freshwater pearl earrings. Finely crafted especially for the glamorous lady that is passionate about pearls. Amethyst the birthstone for Aquarious Jan 20-Feb 18, and Pisces 19th Feb-Mar 20th. Amethyst grows in geodes,and the tone of the quartz changes from deep imperial purple to a very pale almost lilac due to its iron content. 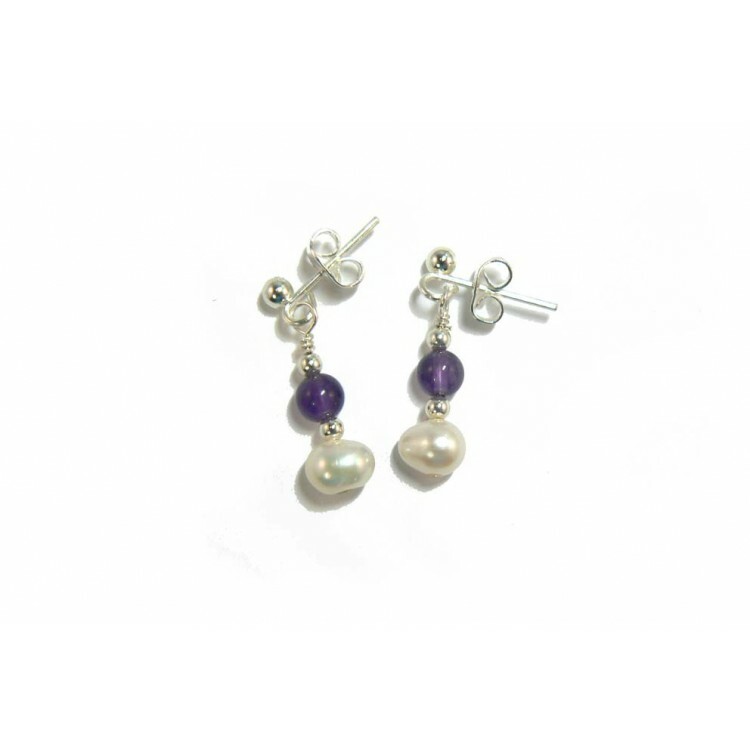 I have added the amethyst and pearls to silver plated "nickel free" earring posts and scrolls to comply with EU directives. If you would like these earrings with gold plated beads and earring fixings, please complete the "Add Comments about your order" box, under the Delivery Method section of the Checkout.